I wanted to share some conclusions I made from using and creating vegetation for Podium V2. 2.5D modeling in my opinion are definetly a way to go. At least untill component instancing gets implemented. For those who might wonder why 2.5. It combines flat elements od 2D vegetation which reduces number of faces. 1. Podium V2 likes lighter transparent textures. By lighter I mean textures with a lot of transparent areas. Otherwise rendered model will look like it's made of textured cardboard. Masking in photoshop has to be perfect - transparent areas have to be 100% transparent. Even 1% color will show in renderings. 3. Further reduction in polycount can be made by drawing a triangular face which will have texture applied. To make this easier, when editing texture make the image canvas larger so you have enough space to draw a triangle. 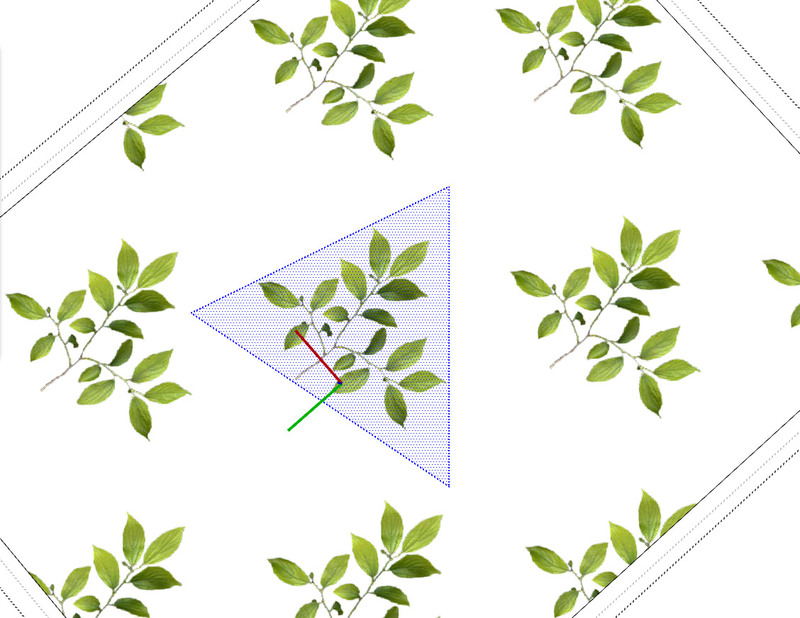 For example - tree in image 2 has 1300 faces with branch texture from image 1 applied, but that comes to 19500 leaves. It might not seem a big difference, but look at it this way - you can have 15 trees instead of one modeled leaf by leaf. If anyone has some advice, comments and critics, please post! 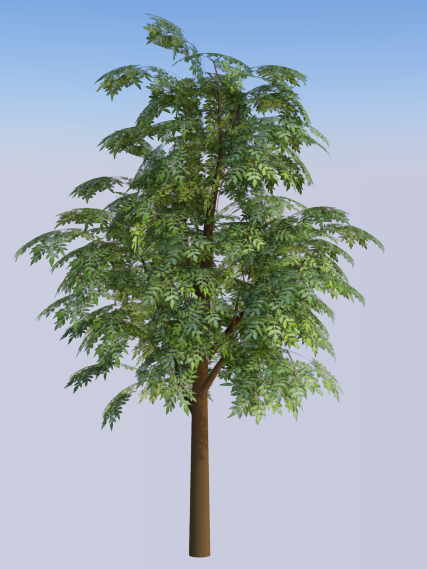 You can download trees here and simply by replacing branch texture create a whole new tree. What I have had success with (so far) is creating a curved face, and mapping the branch and leaf textures to this. You can then attach these components to the branches. If you make composite branches (for example a group of multiple component branches as shown in the attached image) it can be reasonably quick to make trees. The benefit of the curved surface approach is that with relatively few components, you can get a lifelike tree which renders reasonably from any angle, even above. The finished render shows the effects you can create with this technique. The other thing, as Davor says, is to make sure your mask is perfect. After getting completing your mask, you need to create a new channel with just the mask on it. When you create a new channel, it becomes an alpha mask. Then when you save, make sure you choose the Photoshop option 'Save for web & devices'. Save as png 24, and make sure the 'transparent' option is checked. If you don't do this properly, you will get pale outlines around your png textures. It's difficult to overstate how important this is. If anyone has a better of more reliable technique, please share it! renderings and I always missed nice model of verctical vegetation which can be used for walls. 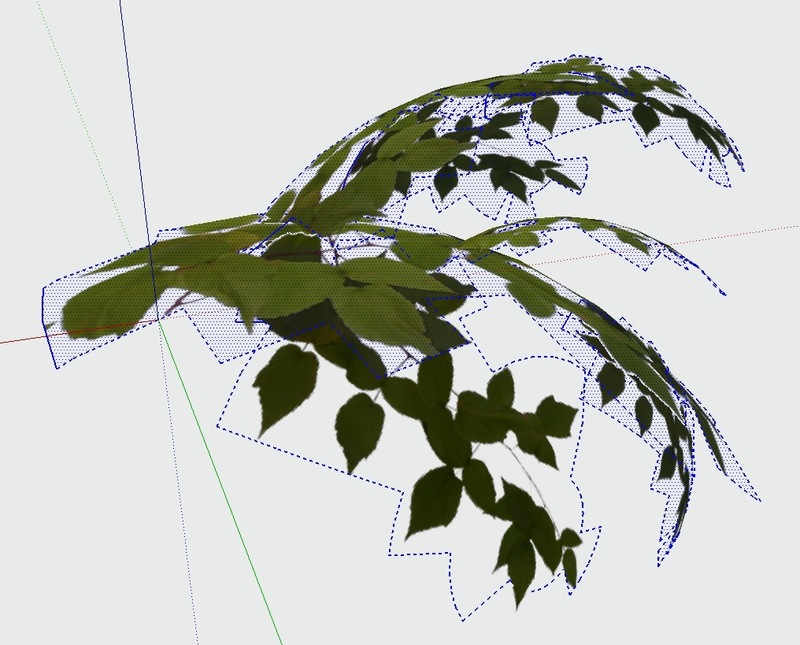 I was thinking about creating curved face using png of parthenocissus tricuspidata (attachment). I will be very thankful for any advice. 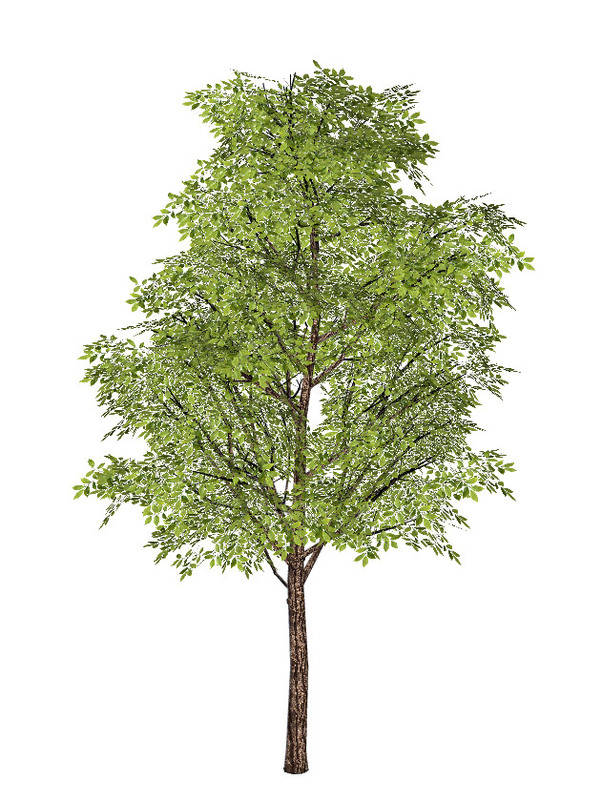 You might be better off with the SketchUp Ivy plugin. 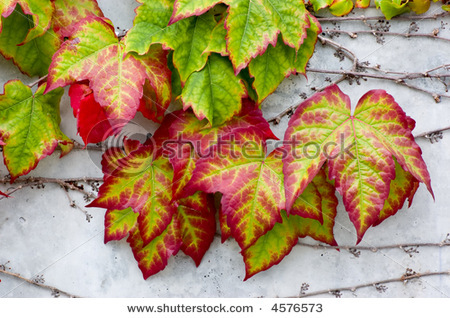 You should be able to replace the ivy leaf components with parthenocissus leaves. You have to make sure that your masking of the leaf textures is perfect though. I'm going to post a tutorial that works every time for me. It's not difficult, just a bit involved. Jim which version of this ivy plug in are you using?